Marina 2 villa is a one of a kind luxury private home experience! The fully equipped gourmet kitchen is situated next to two spacious living areas, along with a large indoor dining room and another dining area outside. There is also a media room, and a private courtyard that boasts an impressive infinity edge swimming poo with a gazebo area, and a beachfront hot tub. This beautiful villa is located in the exclusive gated community of Punta Cana, Dominican Republic, in the Marina, a 26-square mile paradise that is blessed with a temperate year-round climate, light rainfall, and soft breezes. It’s colorful coral reefs; calm crystalline waters and white-sand beaches are breathtaking. The Resort provides a matchless experience for all who visit this tropical paradise, and its tropically chic lifestyle is ideal for those who appreciate high standards of quality, comfort and aesthetics. 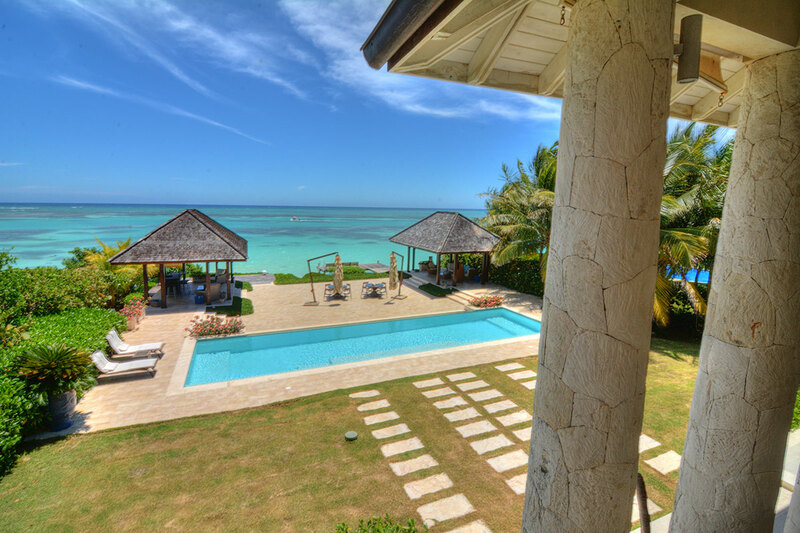 As guests of the villa, you have access to all of the resort amenities and activities. Rates do not include: tax of 18%. Guests will be met at the airport by a private driver and transferred to the villa. Golf Carts starting at $60 per day; chef services.